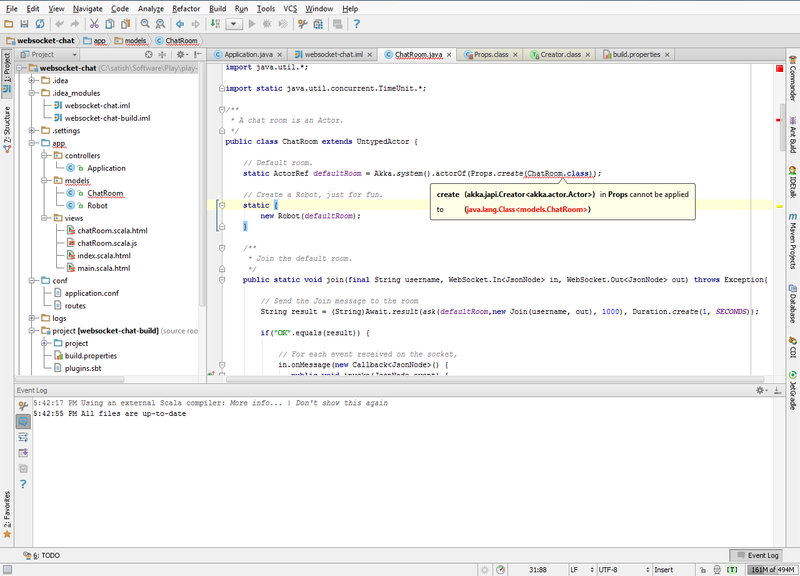 I'm using Intellij 12.1.6 and Play framework 2.2.0. New project creation fails with the error "error adding module to the project". I have "Playframework support", "Play 2.0 Support" and "Scala" modules enabled. Opening up the sample "websocket-chat" doesn't compile. 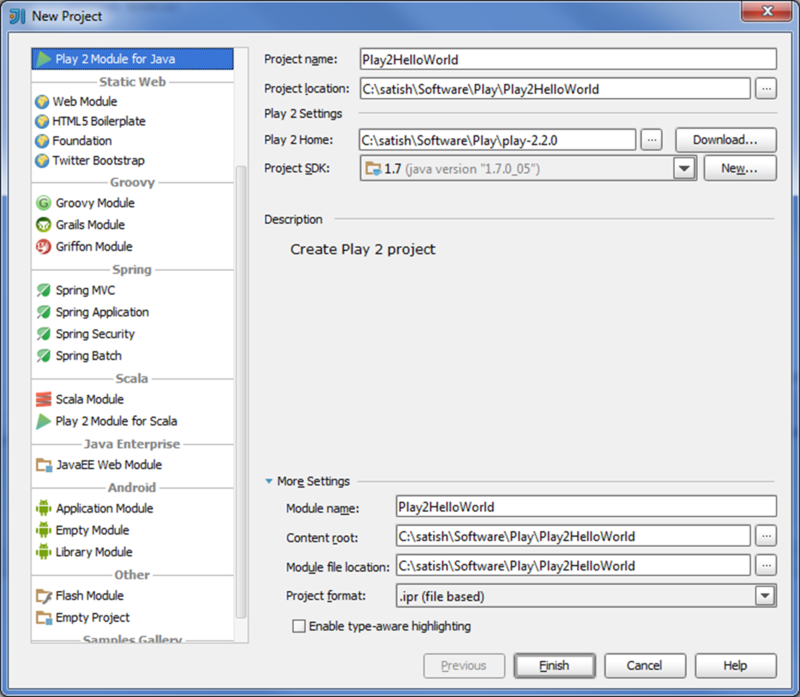 The same project runs fine using play command ('play run' works fine). Is anyone able to create Play projects? Hi I have the same problem I find if you don't use the latest version of the playframework and use the download option on configuration it works as expected for me and the project is created but it's using version 2.1.0 from the list of options when opting to download library.